The lower-cost systems of today are specialized for tasks by either hardware, software, or a configuration of both. Because of this, choosing the right NAS appliance can be difficult. There are several factors to keep in mind when selecting the correct NAS for your business. Depending on what your business does, you will need some amount of storage capacity. The more you do, the more you need. Make sure that, when you purchase an NAS storage unit, it is capable of supporting the largest capacity hard disk drive you have. 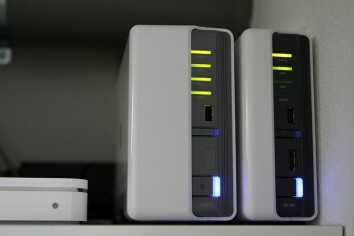 Some NAS systems are able to be connected to expansion chassis or external storage devices (like USB or eSATA ports) should you need extra space. You can also use these to back up the files in storage. The most prominent NAS brands are able to support major file-transfer protocols, like NFS, AFP, FTP, and CIFS. You may need to employ thin provisioning, which simply means that the creation of files larger than the available physical space will be handled. You also might want to make sure that your NAS device is connected to an uninterruptible power supply, so that the risk of disk corruption by safe shutdown is minimized. You are going to want a reasonably quick speed when uploading or downloading larger files. Because of this, transfer speed is one of the primary indicators of any decent NAS. For those businesses looking to host a repository for users, a better file access speed is needed, while better block access speed is better for deploying with servers. Basically, make sure to select an NAS appliance that can handle the amount of files your business uploads and downloads. In order to stay competitive in the market today, companies have been facilitating the evolution of NAS storage by adding a list of capabilities that are non-core. This can include the ability to send out email notifications, the ability to print, and apps for mobile phones to monitor the NAS. You may even be able to tweak NAS parameters from a phone or tablet. While these tasks are not necessary, they can be very good to have. The phone abilities are especially useful in today’s age of the smartphone. These four categories are the most basic in choosing the NAS server right for your business. These are the main ones you should consider. The lower-cost machines and efficient evolution of tasks enable you to select the best one for your purposes. Sara Stricker has written dozens of articles, bouncing from topic to topic.